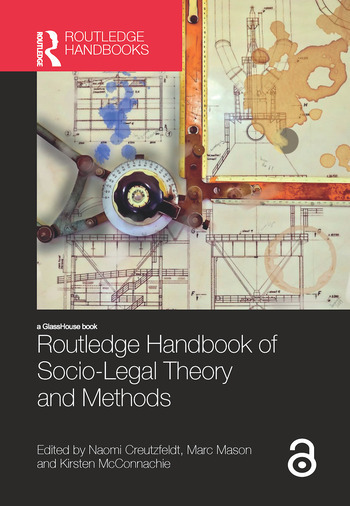 Drawing on a range of approaches from the social sciences and humanities, this handbook explores theoretical and empirical perspectives that address the articulation of law in society, and the social character of the rule of law. environmental law, biotechnology, research in post-conflict situations, race and LGBT+ lawyers. The Handbook brings together younger contributors and some of the most well-known names in the socio-legal field. It offers a fresh perspective on the past, present and future of socio-legal studies that will appeal to students and scholars with relevant interests in a range of subjects, including law, sociology, and politics.